The Hull Daily Mail retained its crown as top daily newspaper at the Yorkshire and Humber 02 media awards last night. The Local World-owned title overcame opposition from the Yorkshire Post and Sheffield Star to win the prize for the second year running. Editor Neil Hodgkinson paid tribute to the hard work of his “brilliant editorial team” after the ceremony at Leeds Metropolitan University last night. Mail journalists Pheobe Jackson-Edwards and Jim Coldwell added to the paper’s haul, picking up the titles of Feature Writer and Young Journalist of the Year respectively. And the ceremony saw a special award presented to Peter Charlton, who stepped down as editor of the Yorkshire Post in July after 40 years in regional newspapers. Messages of congratulation from deputy Prime Minister Nick Clegg and Labour MP David Blunkett were read out as Peter received an Outstanding Contribution Award for his services to the media. The former YP boss, who also edited the Blackpool Gazette and Sheffield Star in the course of his long career, received a standing ovation from his peers. 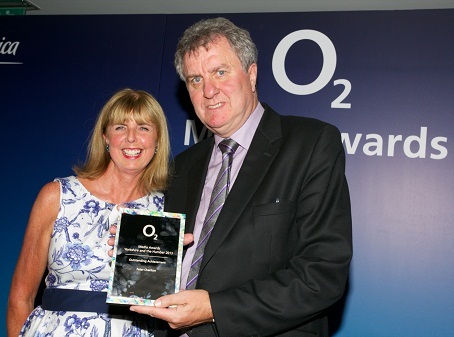 Peter Charlton receives his Outstanding Achievement award at last night's 02 ceremony. Selina Maycock and the Scunthorpe Telegraph were applauded for helping a terminally ill cancer sufferer realise his dying wish to marry his childhood sweetheart. Liam Thompson’s 21-year-old widow Alice presented the award. In the Weekly Newspaper category it was the Barnsley Chronicle, one of the country’s few remaining broadsheets, which took top honours. Judges said they loved the paper’s approach to news and willingness to introduce new features. “This was a well designed, well considered and thought through newspaper with good use of pictures and high story count. An excellent package,” they added. Bradford City manager Phil Parkinson handed the Specialist Publication of the Year award to the Bradford Telegraph and Argus for its “superb” coverage of the club’s run to the League Cup final. Local communities Minister Eric Pickles praised O2 for supporting and highlighting the work of the regional press through the awards. “The local media is the lifeblood of our communities,” he told the 170-strong audience of journalists and guests. 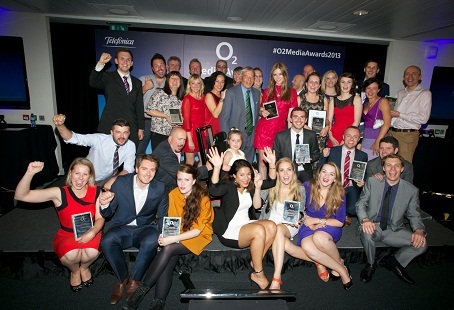 All the winners from last night's 02 awards in Leeds. The management/editor at the Hull Daily Mail come from a Yorkshire Post/Yorkshire Evening Post background and yet the only Yorkshire Post winner, in Rob Waugh, is soon departing. A sound, working knowledge of the newspaper industry obviously reaps rewards. (Content wins awards and retains readers, not the time the product hits the street). But, with such a raft of experienced journalists leaving and a new joint editor of the YP/EP in place, JP is no doubt more concerned with replacing staff than winning awards just now. Well done HDM.